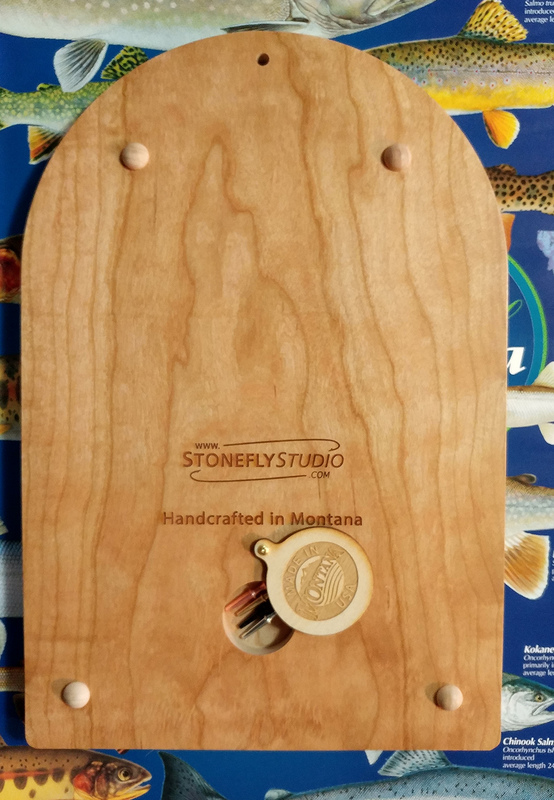 OUR CRIBBAGE BOARDS FEATURE AN ORIGINAL STONEFLY STUDIO RIVER MAP, A Choice of Artwork, Plus Personalization because at Stonefly Studio, “We believe life should be personal.” We have added a cribbage peg compartment to the back of our board and have increased our choices of artwork. 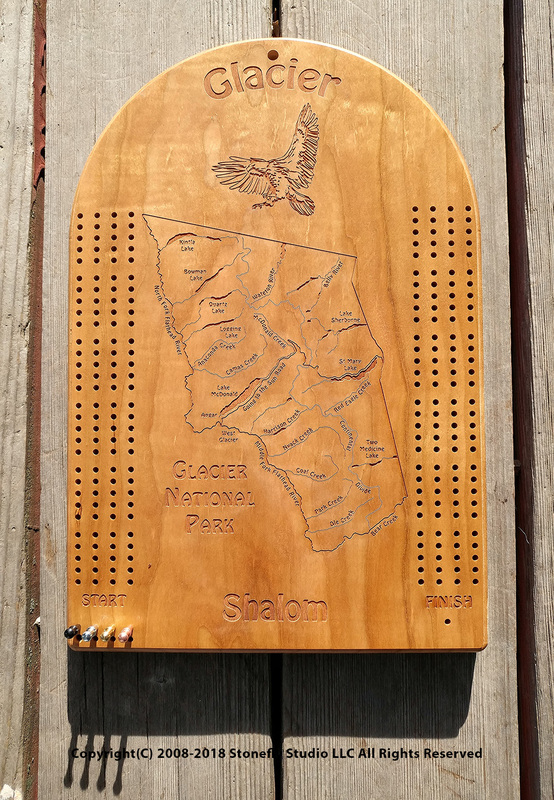 When not in use, there is a hole at the top of the cribbage board so you can hang this beautiful piece of artwork on the wall! CHOOSE YOUR RIVER, YOUR ARTWORK, ADD TITLES, NAMES, INSCRIPTIONS! 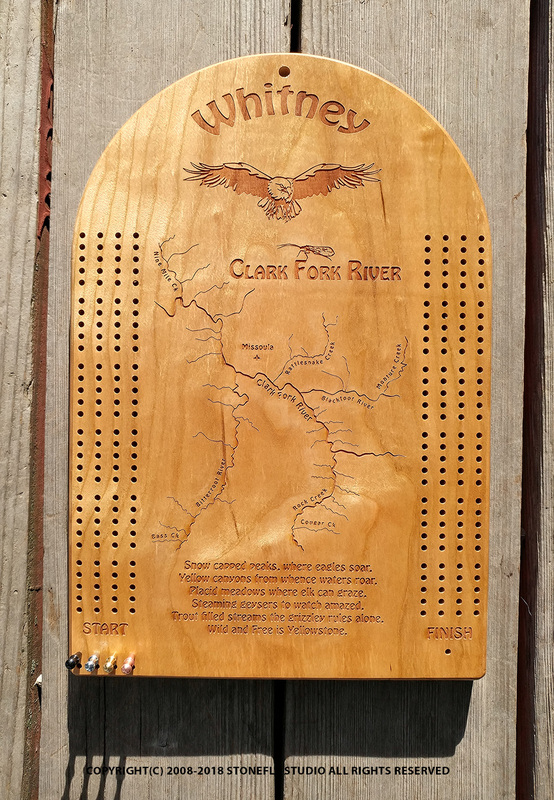 Like our Signature River Map Fly Boxes, our River Map Cribbage Boards are handcrafted with great attention given to quality and detail. The boards are made to be an heirloom for the generations to come. Dan has designed 100’s of River Maps to choose from. Click the above photo to view all the available fish and wildlife artwork options.